Did you know that by the age of three most dogs experience canine dental problems? Scary, isn't it? Especially as dental work nearly always requires anesthetic or at least heavy sedation for our dogs. This is both risky for our pups and expensive for us. Dog dental problems are very similar to ours. If you've ever suffered from toothache (and who hasn't?) then you know the discomfort and pain it can bring. 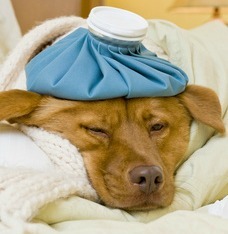 But would you know if your dog had a toothache? Or what to look out for? That's not so obvious. Unfortunately, dogs can, and do, experience many of the same dental diseases as humans. 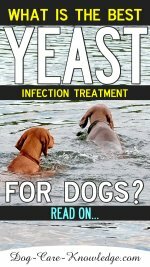 Gingivitis, periodontitis, abscesses, and tartar build-up are all likely to affect your dog. Cavities are less common but still possible. Also, like humans, dental issues are one thing that we simply cannot treat at home. Once there is a problem, teeth need professional attention. Luckily we can take steps to prevent dental disease in dogs and arm ourselves with the knowledge of how to recognize the symptoms of any problems that do arise. If you notice any of these symptoms book an appointment with your vet to have your dog's teeth examined right away. 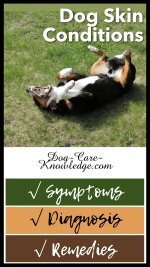 If your dog doesn't have any of these symptoms, it's good news! 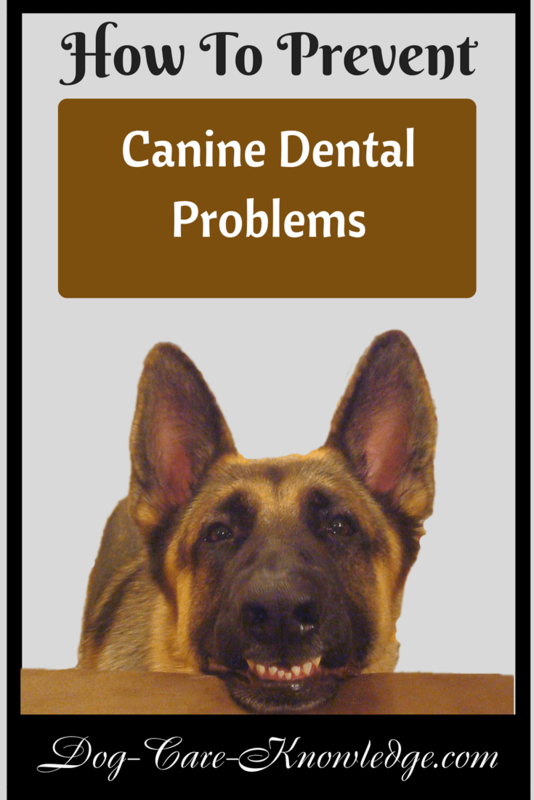 You can take preventative steps to avoid canine dental problems entirely. Check your dog's teeth regularly. Brush teeth at least 3 times per week using a canine toothpaste. If your dog already has dental problems this will need to be daily. See Dog Teeth Care for how to do this properly. Don't let your dog chew objects that are harder than his teeth. (I know there are plenty of rock & stone chewers out there!). Bones are fine but I think knuckle bones should still be avoided. Limit the amount of time your dog carries a tennis ball and don't let them chew the fuzz off! See Tennis Ball Mouth. Feed your dog a good quality food that is low in carbohydrates. Use oral products to keep plaque and tartar at bay such as; water additives, dental chews, oral sprays, and edible chews. 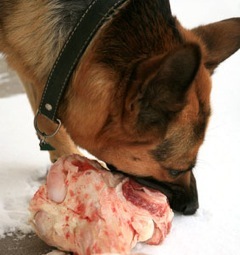 Feeding your dog a raw or homemade diet is the absolute best way to avoid tartar build-up in your dog's teeth. Especially if supplemented with lots of raw meaty bones. I know many dry food manufacturers will have you believe that kibble is best for dog's teeth but I simply don't believe that's entirely accurate. Dry kibble contains a lot of refined carbohydrates which increases plaque and tartar levels causing more dental problems in dogs. If you do feed your dog kibble or canned food, then follow up with a bone or a dental treat that has been proven to work. Dogs that continuously chew on tennis balls and carry them around in their mouth, wear their teeth down. The fuzz of the tennis balls act as an abrasive that literally files the teeth over time. 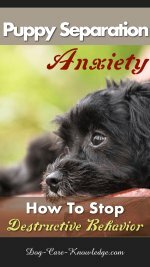 I became aware of this condition after reading an interesting book 'The Complete Healthy Dog Handbook' by Betsy Brevitz, that discusses this problem. In fact, she mentions that it's sometimes known as Tennis Ball Mouth and results in the teeth being more subject to decay. She explains that tennis balls are abrasive to your dog's teeth when carried around for hours at a time. If teeth are eroded this way, they can become extremely sensitive. It can also lead to canine dental problems, such as infections deep in the root of the tooth and even create painful abscesses. I know you don't want to take away your dog's fun, and lord knows I know exactly how you feel, that's my Ava in the photo above with 2 tennis balls in her mouth. 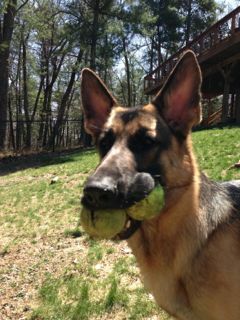 She is a fanatic about tennis balls and having two at time is not unusual for her. So here's what I did to stop her chewing and carrying them. I didn't (and don't) ban her from having tennis balls but basically, I changed the game so that she has them in her mouth for the shortest time possible. When we go out to "play" ball, I have the balls (not Ava) and I don't take just one or even two as she will quickly get and "own" them and then I find I have nothing to bargain with! What I do is use the ball launcher and throw as far as I can so she gets all the fun by chasing the ball. But.... once she gets there and picks up the ball, I throw another one in the opposite direction. Most of the time she'll drop the first one in place or en-route as she runs for the other one. Either way she doesn't hold them in her mouth for extended periods and she doesn't chew them. The problem with this method is that I'm forever having to walk over to where she's dropped the ball to retrieve it myself. But hey, it's all good exercise and better for me than just standing still throwing the ball. Also if your dog is a tennis ball chewer or carrier, then make sure you check her teeth regularly for signs of wear. You can also try switching to a smooth ball specific for dogs, but Ava wasn't fooled with that and doesn't like the other balls. Finally, the best way to avoid the risk and expense of professional dental work for your dog is to prevent it. You also need to keep a close eye on your dog's teeth to spot any problems at the onset. But do so cautiously! 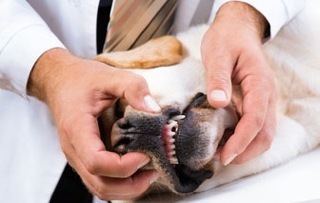 If you dog is likely to snap or bite you, then be very careful with inspecting and cleaning his teeth. In fact, in this case I would attend to your dog's dental care with non-evasive methods. That means, feed bones, use water additives, dental chews, oral sprays, and edible chews that have all been proven to work to control tartar and plaque. I hope this information helps you to avoid canine dental problems for your dogs and don't forget to review my other pages on how to clean your dogs teeth properly. After all, no-one wants their dog to have to experience a toothache!